Acronyms are a great way to retain complex information, say mental health nursing students Mark Weetman and Jo Parker, who developed an acronym to help them remember the key principles of recovery and well-being. As nursing students, we have to process and store large quantities of information. This can become overwhelming at times, and we often wonder how we will remember it all, especially when it comes to exams. Recovery principles in mental health nursing underpin all that we do. Although we learn the skills and processes through experience, understanding the rationale behind them can sometimes be difficult to grasp. 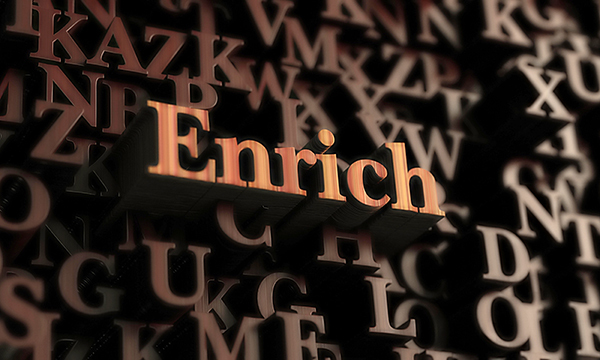 To help with this, and as part of our exam preparation in our second year, we created an acronym – ENRICH – to help us remember the key principles of recovery and well-being. Empowerment. Working with service users to offer choice and information that supports personal goals and helps overcome barriers. Non-linearity. Recovery will have 'ups and downs'. Giving patients the skills to build personal resilience is part of our role. Risk-taking positively. Through shared decision-making, and considering the pros and cons, we support service users in managing their condition. Individualised and person-centred. No two recovery journeys will be the same. Focusing on personal strengths, circumstances and aspirations makes recovery authentic for that person. Collaborative. While the individual is the 'expert' in their own life, a therapeutic partnership between patient and health professional aids shared decision making and helps build confidence. Hope. This is implicit in recovery. Even when 'the sun isn't shining', knowing that 'the clouds will disperse' can be encouraging, promoting optimism and reassurance for self-determination. This acronym helped us immensely in our exam. As it is easy to remember, we wrote it down as soon as the exam started, and when one of the questions asked us to discuss the recovery principles, we were able to use it as a prompt. It has also helped us in our training, and we still refer to it in practice, such as when completing person-centred care plans. Creating your own acronyms can be extremely helpful in breaking down what can sometimes be complex information. By focusing on recovery principles, we created something we could remember for the exam, which could also be used in practice to help us improve care and enrich the lives of service users. Group together key themes or areas you need to remember and take the first letter of each to create your acronym. Don't overcomplicate things. Sticking to key themes will make it easier to remember. If you are struggling to make your own acronym, there are free websites you can use to help, such as acronymify.com. Write the acronym down and keep it with you. Looking at it regularly will help you remember it. After creating and remembering the acronym, explain it to as many people as you can, such as friends, family and colleagues. This will help cement it in your mind.